Three years ago, Danica Patrick was in the midst of her motorsports career, unsure of when she might stop driving and uncertain what her life after sports might include. She thought she wanted a child. Someday. She still thinks that. So, she decided to give herself the best chance of having a child in her post-racing life. She decided to freeze her eggs. During one offseason, Patrick went through rigorous hormone treatment to produce, retrieve and freeze her then 33-year-old eggs. After two weeks of self-administered hormone injections, her doctor removed 24 eggs — 19 of which were mature. Her doctor told her she needed 20 eggs to all-but guarantee that one could someday become a healthy baby. Patrick is now 36 years old. She retired after two final races this year — the Daytona 500 and the Indianapolis 500 in a farewell she deemed the “Danica Double” — and has immersed herself in promoting her fitness clothing line, Warrior; her winery, Somnium; and her workout and nutrition book, “Pretty Intense.” She began dating Green Bay Packers quarterback Aaron Rodgers earlier this year. She is officially in the post-racing phase of her life. By medical standards, she is also of an “advanced maternal age.” Yet, she technically wouldn’t have that label if she is able to use her storage of eggs to conceive a child. The eggs she froze were 33 years old — still below the threshold for that designation (which is 35). That desire to succeed in professional sports can be at odds with one factor that no woman can change or control: her biological clock. 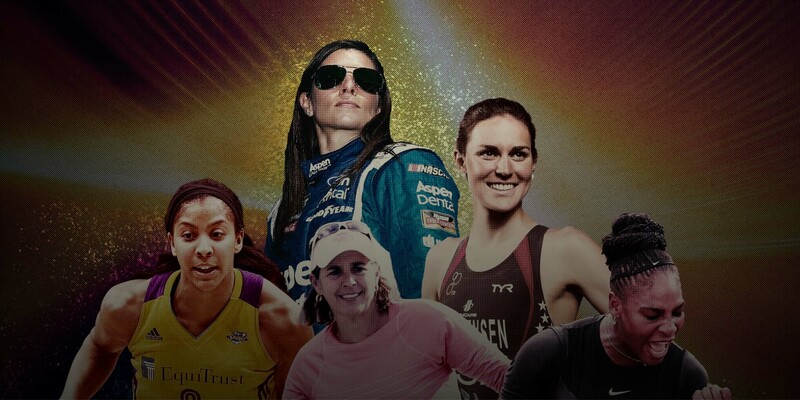 As more professional athletic opportunities have opened for women since the implementation of Title IX, more female athletes have had to grapple with balancing motherhood and a career that relies on the performance of the body. There is no one-size-fits-all approach. Candace Parker had her daughter, Lailaa, when she was just 23 years old and in her second season with the WNBA’s Los Angeles Sparks. 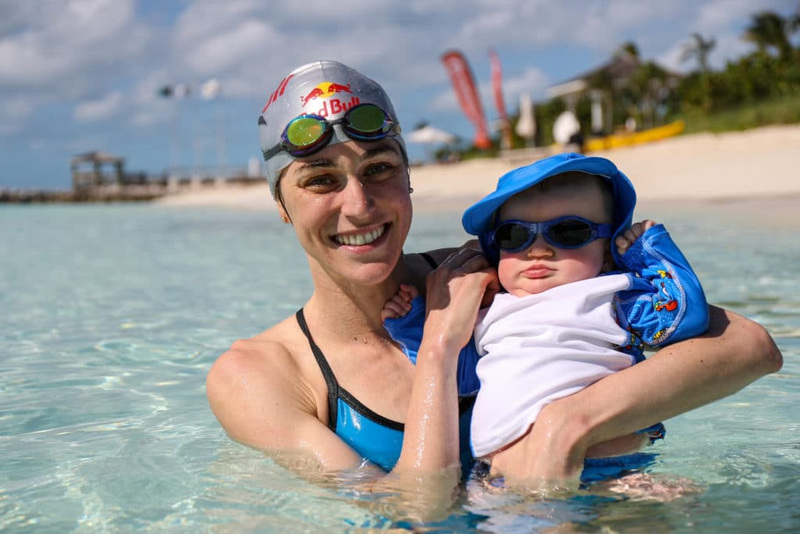 Triathlete-turned-marathoner Gwen Jorgensen had her son, Stanley, in August 2017 at age 31 — about a year after she won the triathlon gold medal at the Rio Olympics. And the greatest test case for women in athletics who attempt to have it all is ongoing: Serena Williams had her daughter Sept. 1, 2017, just before her 36th birthday. She had to withdraw from this year’s French Open, her first Grand Slam event since winning the Australian Open in January 2017, because of injury. In the 1990s, Gigi Fernandez was at the top of her career. She won two gold medals in doubles tennis, teaming with Mary Joe Fernandez in Barcelona in 1992 and Atlanta in 1996. Those were also her prime childbearing years. She was 27 years old when she won her first Grand Slam doubles title in the French Open in 1991. Doctors say fertility declines precipitously in women after age 35. Science hadn’t developed to the point where freezing eggs was a viable procedure. Even if it had, the now-54-year-old doesn’t think she would have done so — though she now strongly encourages all women in sports to give themselves that insurance policy. She won 17 Grand Slam titles until she retired at age 33 in 1997. That year, Fernandez met Jane Geddes, an 11-time winner on the LPGA tour. The two fell in love. Fernandez spent the next several years floundering, bouncing from coaching to business endeavors and not landing on anything she was truly passionate about. Seven failed fertility treatments over the next few years followed — five attempts at intrauterine insemination and two in vitro attempts. It was the first time her body had betrayed her. Still determined to have a family, Fernandez and Geddes pursued adoption. Fernandez filled out a lengthy adoption form in Florida and hesitated when she got to the last question: “What is your sexual preference?” At the time, Florida would not allow gay couples to adopt. The two tried to adopt in California in a semi-open basis, found two mothers who agreed to give their child to Fernandez and Geddes, but both mothers backed out late in their pregnancies. Fernandez was investigating a surrogate, was ready to sign over a check for $45,000 to an agency in Ukraine, when Geddes pulled her aside and said, “You’ve absolutely lost it.” The couple already had spent five years and about $100,000 on fertility treatments, Fernandez estimates. Through all this, their friend Monika Kosc had watched their struggles, their disappointments. She asked them what would help. “I’ll give you eggs,” said Kosc, then 36 years old. Still, Kosc agreed. In August 2008, Kosc underwent a procedure to donate eggs, which were then fertilized with anonymous donor sperm. And on April 7, 2009, 45-year-old Fernandez gave birth to twins, Karson and Madison Fernandez-Geddes. Karson is happy-go-lucky and loves to play football. Madison is intense and dreams of becoming the next Alex Morgan in soccer. Both are intelligent and see Kosc regularly, calling her “Teta,” the Slovak word for aunt. Professionally, Fernandez now shares “The Gigi Method” of doubles tennis via doubles.tv, and runs tennis clinics around the country. Her greatest joy and focus, though, is on being a mother. Female athletes who want children have other options, of course. Instead of waiting until after their athletic careers are over, they can interrupt their lives in professional sports to become a mother. Choosing that course presents a different set of challenges. Candace Parker always dreamed of being a mother. Though she was the youngest of three children in her family, she loved spending time with children, babysitting friends’ younger siblings and just being around kids whenever possible. Soon after playing her final game at Tennessee in 2008, Parker married former Duke basketball player Shelden Williams. In May 2009, their daughter Lailaa was born. Parker was coming off a 2008 WNBA season with the Los Angeles Sparks when she won Rookie of the Year and the MVP award. The 23-year-old was able to work out throughout her pregnancy, the only restriction being not to jump when shooting. Lailaa was born May 13, and Parker was back playing for the Sparks on July 5 – a span of a little more than seven weeks. She had been working out and practicing for two weeks before that game debut, though, so her maternity leave was about five weeks. The rush to get back on the court might have affected her play, though. Parker’s 13.1 points per game in 2009 is the fewest she’s averaged in her 11-year WNBA career. James Pivarnik, a kinesiology and epidemiology professor at Michigan State University who studies pregnancy and sports, said there’s no uniform recommendation for exercising while pregnant or how long an athlete should wait after giving birth before returning to activity. Every person is unique, and doctors often base recommendations upon how active a woman was before she became pregnant. More specifically, the effects of pregnancy among the world’s elite athletes have not been thoroughly researched and primarily relies upon anecdotal evidence. Parker also didn’t stop dealing with the aftereffects of childbirth when she returned to play. She continued breastfeeding Lailaa for 15 months. Parker didn’t spend a day away from Lailaa until her daughter was 2 ½ years old. The two were together when Parker played in Russia and across Europe and as she traveled on the road with the Sparks and for practices at the Staples Center. “She would always ask kids when she was younger, ‘What time do your parents get out of practice?’ It didn’t occur to her that other parents didn’t play,” Parker says. Juggling motherhood and a professional basketball career has become more challenging since Parker and Williams divorced in 2016. Lailaa, now 9, still comes on road trips with Parker, jaunts that Parker calls “our time.” Few other of her teammates have been moms, and she has had to learn on the fly how to balance the demands of being a young mother and a star athlete. “I think the hardest thing for me is understanding that you can’t be at two places at once,” Parker says. “For me, it was really hard the first time she got sick and I had to go to practice. Or the first time I lost a really crucial game and I came home. You have to worry about not fully being there. Gwen Jorgensen and her husband, Patrick Lemieux, planned to have a baby after the 2016 Olympics, whether she won a gold medal or not. She did win the gold medal in the triathlon, redemption for the 2012 Olympics when she got a flat tire on her bike and finished 38th. Reaching the highest podium in the Rio Olympics gave Jorgensen a new vantage point on her career. She was 31 years old and ready for a shift in her life. Not only did Jorgensen become a mother, but she also changed sports. The two-time world champion in the triathlon is narrowing her focus to distance running and hopes to challenge for a USA spot in the marathon for the 2020 Olympics in Tokyo. Jorgensen wasn’t daunted by either continuing to work out during her pregnancy or the task of getting back into shape once she gave birth. Although many doctors recommend swimming for women who are pregnant because the activity doesn’t put pressure on joints, that was the one discipline that was too painful for Jorgensen during the early part of her pregnancy. She felt most comfortable running and sported a supportive brace around her belly while she ran as it grew larger. She ran slower — down to a 6:30-mile pace — but she still was able to run. And the day she delivered Stanley — a planned induction because he was two weeks late — she even went for a bike ride. “I think the body just knows and it won’t let you overexert yourself,” Jorgensen says. Jorgensen swears she never worried about regaining her lithe form and speed while running after delivering Stanley. She was simply determined to work her way back. Jorgensen credits much of her recovery to working with a pelvic floor specialist after her delivery. The specialist helped break up scar tissue caused by 40-50 stitches necessary after Stanley’s difficult vaginal birth. She learned strengthening exercises for small abdominal muscles that had stopped firing and now feels stronger than ever. Still, there have been rocky moments. She left Stanley at home when she ran one race recently and was miserable. “I’m never doing it again,” she says. In late May, she stopped breastfeeding and learned that it was a more difficult emotional transition than she anticipated. With all the concerns about balancing motherhood and an athletic career, Jorgensen has found one enormous benefit to having her son while she still competes athletically. 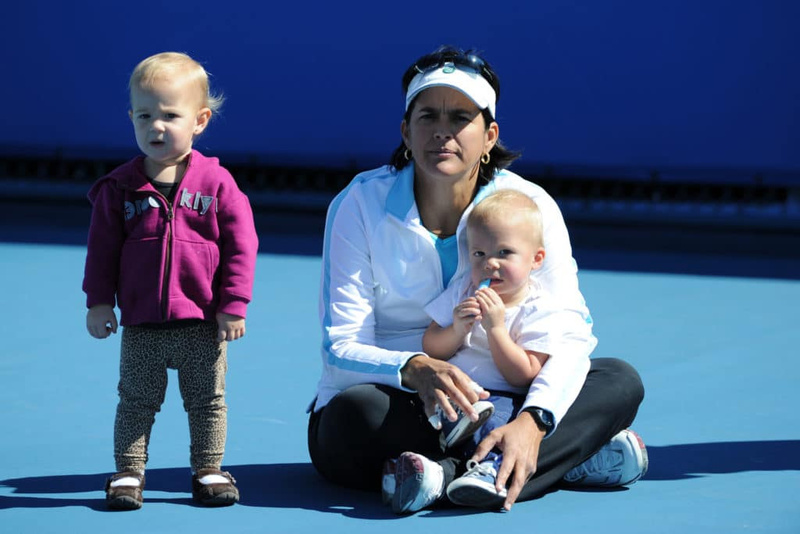 Although Gigi Fernandez loves her children dearly and cannot imagine her life unfolding in any other way, her one regret is that she didn’t try to conceive a child when she was younger. And yet, it’s that very idea of fate that shapes Fernandez’s outlook on motherhood in general. Still, female athletes can do all that they can to get destiny on their side by investing in the kind of insurance policy that Patrick has by freezing her eggs. It is the best way to give herself a chance.